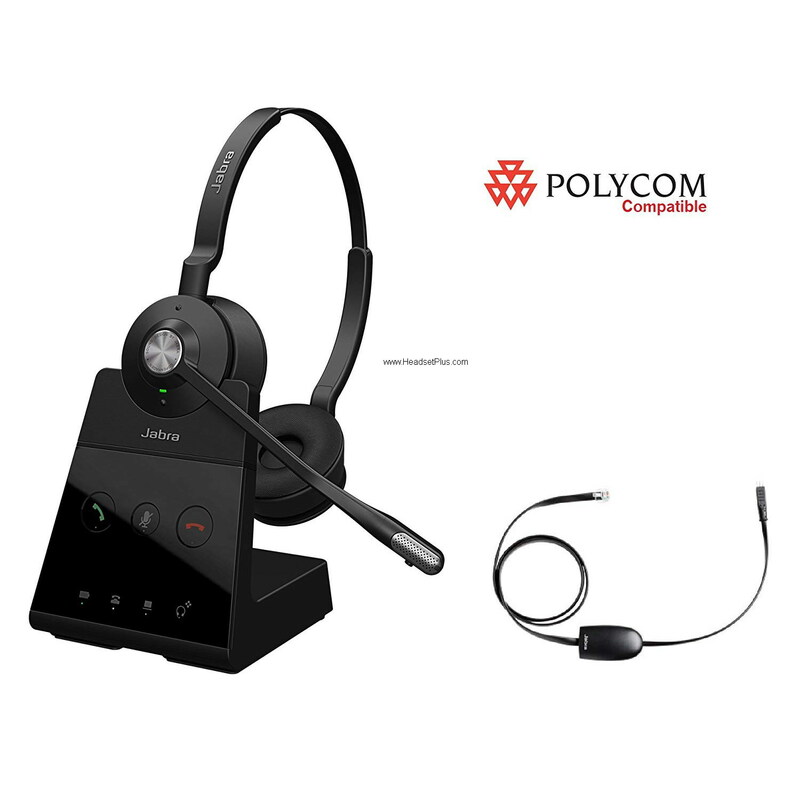 These are compatible headsets for Polycom Soundpoint IP 300, 301, 335, 430, 450, 500, 501, 550, 560, 600, 601, 650, 670, CX300, CX500, CX600, CX700, VVX 101, VVX 201, VVX 300, 301, VVX 310, 311, VVX 150, 250, 350, 450, VVX 400, 401, VVX 410, 411, VVX 500, 501, VVX 600, 601, VVX 1500. If your Polycom HD Voice IP Phone is not listed, call us for compatibility. Plantronics Corded Headsets: Only the Plantronics "SupraPlus" (HW251, HW251N, HW261, HW261N), "EncorePro 500 series" (HW530, HW540) and the "EncorePro 700 series" (HW710, HW720) are compatible + Plantronics U10P Cable (part# 27190-01). All the other models may cause a buzzing sound in the headset. 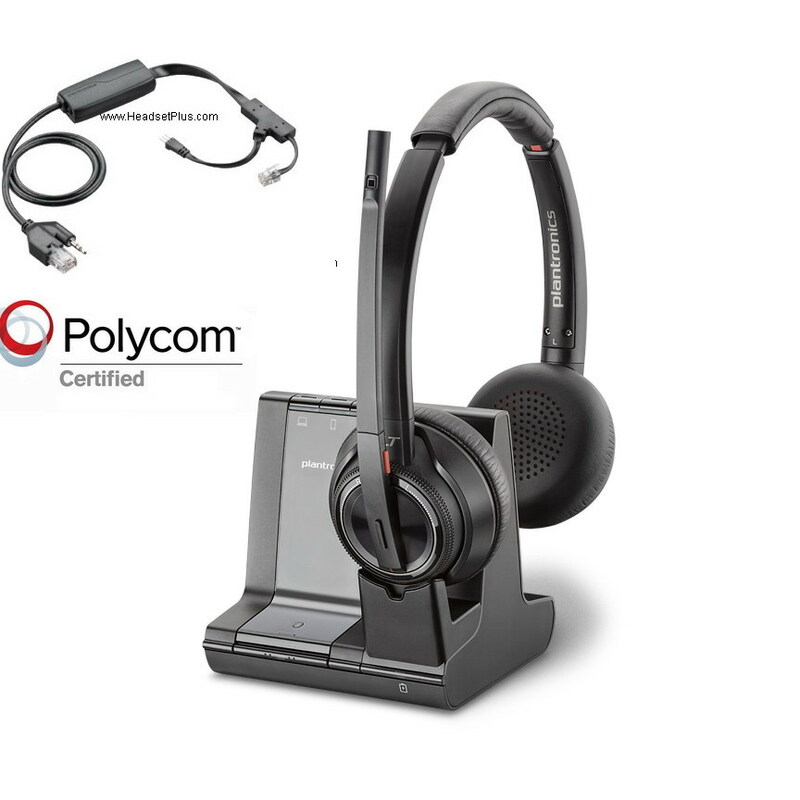 Or pick from any one of the pre-packaged Polycom certified headsets (part# ends with -POLY) below. Note: corded headset solution above require 2 pieces - the headset and the RJ-9 bottom cable. Jabra/GN Corded Headsets: Choose any model from the Jabra/GN Direct Connect Headsets page. 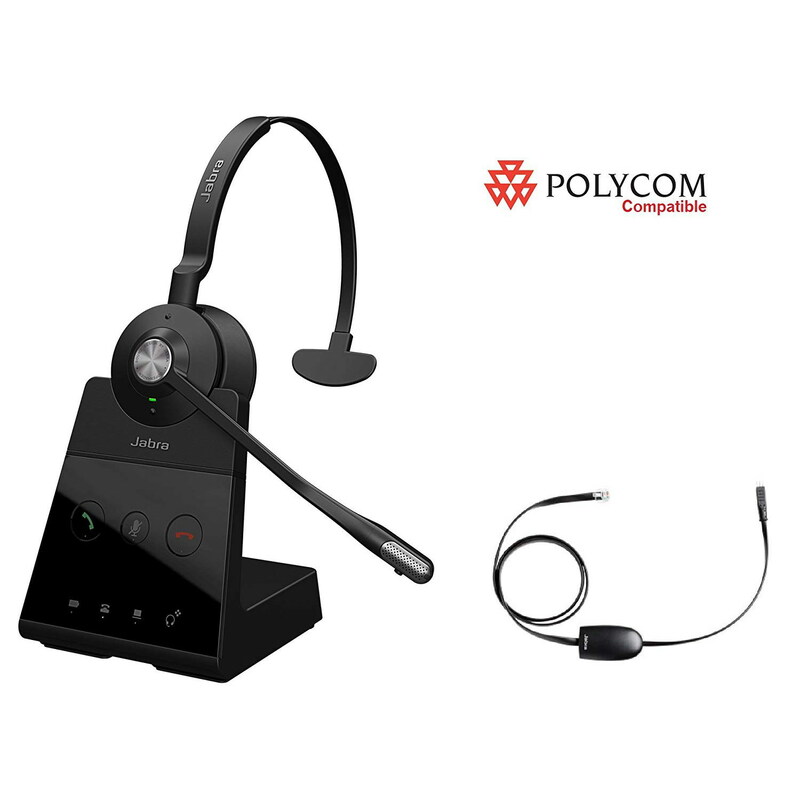 These headsets include the GN1200 smart cable for your Polycom IP Phones (switch setting 1). Wireless Headsets: Both Plantronics and Jabra/GN Netcom wireless headsets are compatible with Polycom IP phones. For remote answering on the Polycom IP phones you need a Plantronics HL10 Lifter + Plantronics Lifter Accessory for Polycom IP Phones. Electronic Hookwitch: For Polycom models IP 335, 430, 450, 550, 560, 650, 670, VVX101/201, VVX 300/310, VVX 400/410, VVX 500/501, VVX 600/601,VVX 1500, you can use Plantronics APP-51 for the new Plantronics CS500 and Savi series. Jabra EHS Polycom Adapter for the Jabra Wireless Headsets. See chart below. If you have a Polycom phone sidecar and the Plantronics APP-51. You require 85638-01 extension cable so the APP-51 cable can reach sidecar.